View cart “Decoy Shed” has been added to your cart. 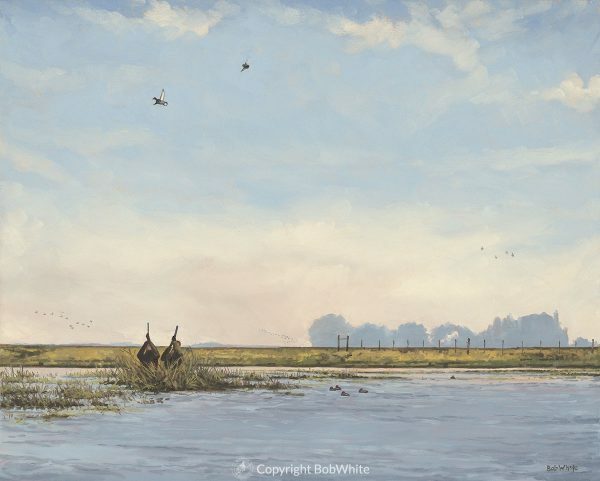 This scene was painted for my old friend, Doug Larsen’s article, “Palm Fronds”, and shows a duck hunt on an expansive marsh in Argentina. This original oil on stretched canvas measures 30 x 24 inches. It was created to illustrate “Hunting New Horizons” in the November/December 2015 issue of Ducks Unlimited magazine.